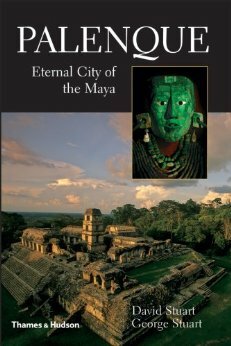 There is no better, more thorough history of the Mayan site of Palenque than George and David Stuart’s Palenque: Eternal City of the Maya. The Stuart’s, both experts on the Maya in general and the site of Palenque in particular, manage to condense their expansive knowledge of the site into a relatively brief 243 pages that cover everything from architecture to royal family lineages. Having said that, the book is not without its flaws. 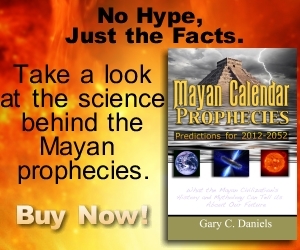 First, the book does not start with the Mayan history of the site. I expected to jump right in and immediately begin learning about the ancient Mayan kings who lived at Palenque and what life was like at the site. 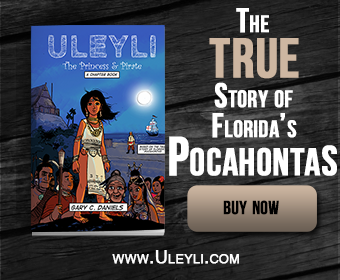 Unfortunately the book begins with the history of the European discovery of Palenque after it had been abandoned in the jungle for 1000 years. 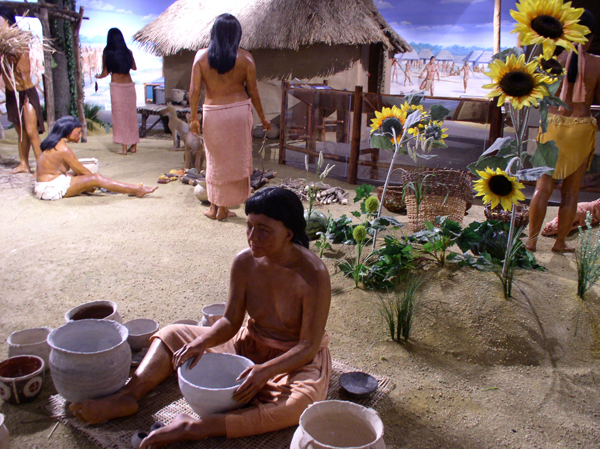 It next goes on to the history of the archaeological work at the site. It’s not until page 106, over a third of the way through the book, that the reader is finally introduced to the Maya themselves who built and lived at Palenque. Furthermore, the authors recount this history in a linear, textbook style; i.e., “this happened, then this happened, then this happened,” etc. This makes it a rather dull read, definitely not a page turner. In addition, the book is written in a dry, academic style. These facts make the book one that really requires some work on the reader’s part to trudge through its pages. I found myself re-reading passages in order to fully understand them. Worse, the authors often referred back to previous chapters assuming the reader would remember every detail of its dry, academic facts instead of simply restating what the authors wanted the reader to remember. Considering I had read some of these chapters days earlier it was difficult to remember precisely what the authors were referring to without going back and re-reading these passages. All of this results in a book that feels more like reading an autopsy of a dead city rather than learning about the vibrant, living city that Palenque once was. This is not a problem unique to this book but to history books in general. It is rare to find one that really breathes life into its subject. 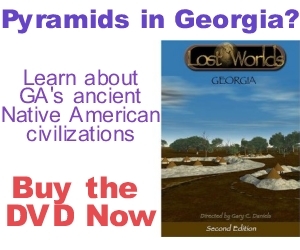 Thus if you are a fan of history you will likely find this book no worse than any other book on ancient history. The biggest oversight comes from a lack of any mention as to the source of Palenque’s great wealth. The book fails to answer two of the most important of the 5 w’s (who, what, when, where, & why) every good book should answer: Why was Palenque such a large and prosperous city and what was the source of its great wealth? Most cities become rich through trade yet no mention of trade found its way into this volume. In fact, the word “trade” is not even in the book’s index. This is quite a glaring oversight equivalent to writing a history of Detroit without mentioning the automobile industry or a history of Los Angeles without mention the entertainment industry or a history of New York City without mentioning the financial industry. Every city has its reason for being yet we never get even the slightest sense of Palenque’s reason for being. Yet this passage fails to mention what these resources were or how their exploitation was of any benefit to Palenque. Did this location enable them to become the middle men in a vast trade network? 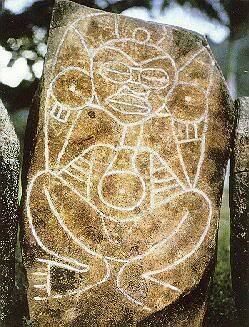 Or was their some local resource that was valuable which the inhabitants of Palenque exported to other localities? Today the primary means of creating wealth is either by being a distributor of other people’s goods (Wal-Mart) or by the creation and export of your own goods (Apple). So which was it at Palenque? But this passage fails to answer any important questions like what agricultural products were produced and were they used locally or exported? Was this the source of Palenque’s wealth or was there some other source? Again, the authors explain little about the nature of these “increased interactions.” Were they trade related? Was Palenque exporting ceramics to these communities or importing ceramics from these communities? Was the clay imported to create vessels for export or were the vessels consumed only at Palenque? Again, the reader is left with more questions than answers and has no better idea the “why” and “what” of Palenque as when they first opened the book. Amazingly, even though the authors discuss the ceramic/pottery traditions that mark important changes at Palenque, few photos of this pottery were included in the book– a major oversight. Probably one of the more fascinating topics was the interaction between Palenque and the metropolis of Teotihuacan in central Mexico. 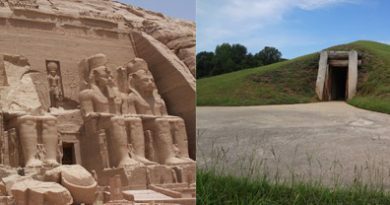 The fact that many Mayan sites appear to have been either conquered or greatly influenced by this great city so far away hints at a much more far flung trade network and interaction sphere than most believe was present in the New World before the arrival of Europeans. But again, the authors do not delve too deeply into this subject. Without this discussion of trade the reader is left with a dry account of buildings and kings and little more. The few mentions of warfare help breathe life into the dead skeletons of Palenque’s history but discussion of trade would have helped even more so. Passages such as this help connect the present with the past and in so doing helps connect the reader to the humanity of the people they are reading about. The skeletons at Palenque were once living, breathing people with motivations identical to those of people today. The more the authors could have made of that connection between the past and present, the better their book would have been. But as it stands, Palenque: Eternal city of the Maya is an invaluable reference that I will undoubtedly return to time and time again when I need to research information about Palenque.